916 Pinot Noir is produced from hand selected grapes, made with minimal intervention, and sold in deliberately limited supply. Bottle Serial Number validation entitles future pre-allocations. In this secluded arm of the Yarra Valley, there are 5 acres of pinot noir only vines, planted more than 20 years ago. The soils are a distillation of the primordial Gondwana landscape. The alchemy of broken clay and grey loam is the foundation for the 916 Pinot Noir vines. Harvest is deliberately limited in quantity, entirely handpicked, and segmented by distinctive fruit characters. Vintages are only produced in years of unobjectionable conditions. Winemaking is driven by connection with place, and exploring the character and potential of the fruit and vineyard. Provenance and authenticity is of great importance; from where in the vineyard, to exact ferments, to barrels from a particular forest, to precise cellaring conditions. Counterfeit wine exists and is on the increase. 916 Pinot Noir has a transparent production and supply chain. Each bottle can be validated using its unique serial number, and then provenance detail is shared. The story really is about balance. Balance is part of the philosophy: in the vineyard – about responding, and acting proactively, to grow the best fruit; and in the winemaking – a balance between old world and new world, respect for provenance and looking to the future. 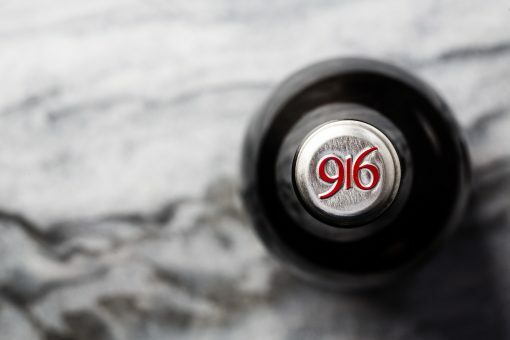 The 916 visual identity is designed to reflect balance: and to turn the bottle, and cork, even upside down, the numerals are still recognisably 916. Ben Haines is recognised internationally as a highly gifted winemaker; his approach is admired and valued by his collaborators and peers. He has been awarded Wine Society’s Young Winemaker of the Year, recognised as the only Australian winemaker in Bloomberg’s Top 10 Wines of the World list (2015), and regularly receives favourable reviews from critics worldwide. Growing up in country Victoria, Ben used to walk amongst vines on his way to school. Today he is still driven by connecting with vineyards, and applying what he has learned – and indeed still exploring – to making outstanding wine. Ben’s wines have incredible balance and harmony. 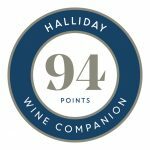 He integrates old world and new world winemaking techniques with honesty and integrity. His wines have a sophisticated finesse, and he strives to preserve the distinct terroir that contributes to his wines by taking a hands-off approach and preserving what the land gives. Having studied and worked in South Australia, Tasmania, Europe and the USA before coming home to Victoria, Ben now spends most of his time in the Yarra Valley, and Melbourne, where he is based with his young family. John is driven by creating and maintaining balance in the vineyard. He takes a structured approach to critical dependencies including timing, flow, and application. His knowledge of, and ability to being responsive to, changing environmental conditions is holistic, and highly regarded. His aims are purity, quality, and reaching the full potential of each site. At 916 John directs strength and balance. The vineyard was planted in 1996, is deliberately low yielding, and all ​pruning, suckering, shoot positioning, hedging, crop thinning and harvest are done by hand. John’s experience includes Viticulturalist at Rochford and Yering Station. He has also worked at Yarra Ridge and De Bortoli and he has held various Vineyard Consulting roles. John studied at Charles Sturt University. He grew up in the Margaret River Maritime wine region and now lives in the cool climate of Yarra Glen, Yarra Valley. One of the greatest privileges of a single vineyard is the opportunity to directly compare vintage to vintage variation. To enjoy these wines side by side is to truly experience the impact of site and environment of each vintage. Select a combination of the vintages you desire and then click ‘Add to Cart’. You can also select individual vintages as single bottle purchases below. The 2012 916 Pinot Noir presents in the glass with a certain energy and understated confidence. The scene is set with its deep crimson colour and glowing purple hues. Lifted aromas of vivid red cherry and spiced blackberry open from the glass, with further time revealing fragrant scents of rose and potpourri, and deeper characters of fresh truffle and autumn leaves. Now with three years in bottle, the palate is supple, effortless and harmonious; there is a silky flow of well-defined red and black fruits that cling to the fine acidity. Moments of savoury spice, subtle sweetness and tension bring character and interest, and the length and poise of this wine will ensure it will evolve with grace over the next 10 years or more in the cellar. The 2013 916 Pinot Noir commands attention in the glass with its deep scarlet core and blue/purple edges. Aromas are intensely fragrant with red and black fruits, complex spice and blue flowers flooding out of the glass. The palate is packed with a concentrated core of supple fruit that is layered with earthier characters of slate and graphite – this minerality accentuated by extended time on lees. The inclusion of stems has brought about some fragrant dried herb characters and a lavish tannin framework reminiscent of dark cacao and campari. This is a pervasive wine with presence and a little bit of attitude…yet still with wonderful elegance. It will continue to improve in the cellar for at least the next 15 years. 2014 was a particularly challenging season. As a result, quality and yields were down across the Yarra Valley. The decision was taken early in the season to forgo the very small quantity able to be produced to the very high 916 Pinot Noir standards. 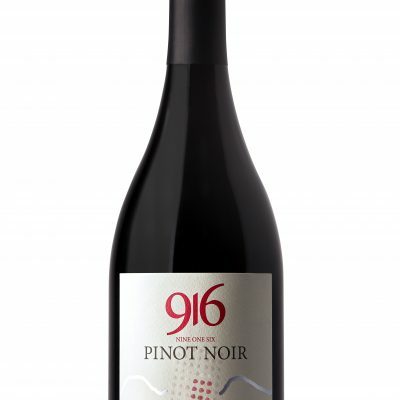 The 2015 916 Pinot Noir carries a presence and clarity that defines its vintage; a mild, sunny and relatively stable season that yielded pinot noir of great character and effortless poise. Fruit was harvested a little earlier in the ripening spectrum this year – a call that was made as a result of the wonderful balance between all components of the grape at lower sugar levels. The result has been a preservation of vibrant natural acidity, vivid fruit character and an elegance of structure that will see this wine age for many years. This Pinot Noir opens from the glass with heady perfume scents of bergamot, lavender and fragrant herbs hovering amidst wafts of cherry and plum fruits. Fresh earth and glimpses of musk and rose build with some time in the glass. 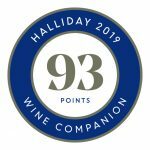 The youthful palate shows great finesse with some tension as well, and delivers well-defined red and blue fruit character that clings to a long natural acidity – a true hallmark of the vintage. The tannins are silky and fine, and nurture a long savoury finish. “Estate-grown MV6, hand-picked, whole bunches and whole berries cold soaked and open-fermented, 3 weeks post-ferment maceration for the whole berry parcels, matured for 16 months in used French oak, not fined or filtered. Clear, bright crimson-purple; despite its lengthy elevage, it is as fresh and crisp as a spring day; its cherry/berry fruit flavours positively sing in the mouth. Natural wine at its greatest. 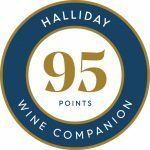 Drink to 2030.” – James Halliday 95​ ​Points. Also featured in James Halliday’s Red Hot and Rated. supplement in 2017. 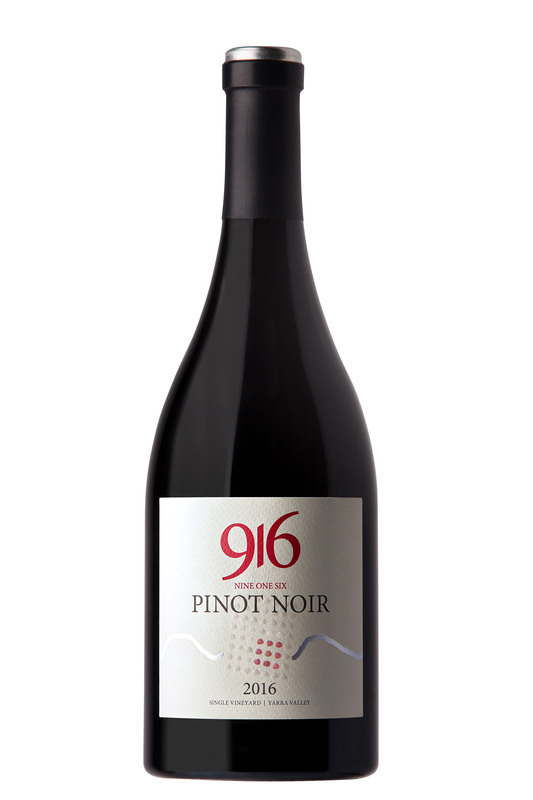 The 916 Pinot Noir 2016 South is intensely fragrant, yet presents with charming old-world restraint. An evolving headiness of red and blue fruit, purple flowers, complex spice and herbal nuances opens up in the glass. A core of compact and well-defined red berry and black forest fruit is framed by silky, slightly chewy cacao tannins. Vibrant natural acidity brings a freshness and some tension that promises to carry the wine for many years to come. The 2016 916 “South” Pinot Noir reflects the vintage and the Estate in equal measure. Meaty and wild. This is pinot noir to make your head spin. Cranberry, musk, sour cherry, sweet herbs, tang and silk. It offers some kind of journey and impresses as some kind of wonderful. If you get the chance you must try this. It’s captivating. Made in precisely the same manner as “South”, the aromas of 916 Pinot Noir West delve in to deeply complex fruit and spice nuances with a distinctly savoury tone. The fragrant herbs give way to meaty, mineral characters and some subtle smoky peaks. But the real magic in this wine is the texture. The natural acidity is sluicing and mineral, and carries the detail in the fruit to great length. The tannin is deep and velvety, compact and dense, and teases out with an indulgent malleability. There is a chocolate/coffee essence to the tannin too, that melts seamlessly in to the flow of the palate. This is a wine with many great years ahead of it. 20 year old vines. All natural ferment. 85% whole bunches. Left on skins post ferment for 2 weeks. No new oak. Cherry-berry flavours with layers of rose petals, undergrowth and fragrant herbs. Drinking it is like taking a walk in the garden. Fresh, lively, different, individual. Light in both colour and flavour but harmonious and intriguing. 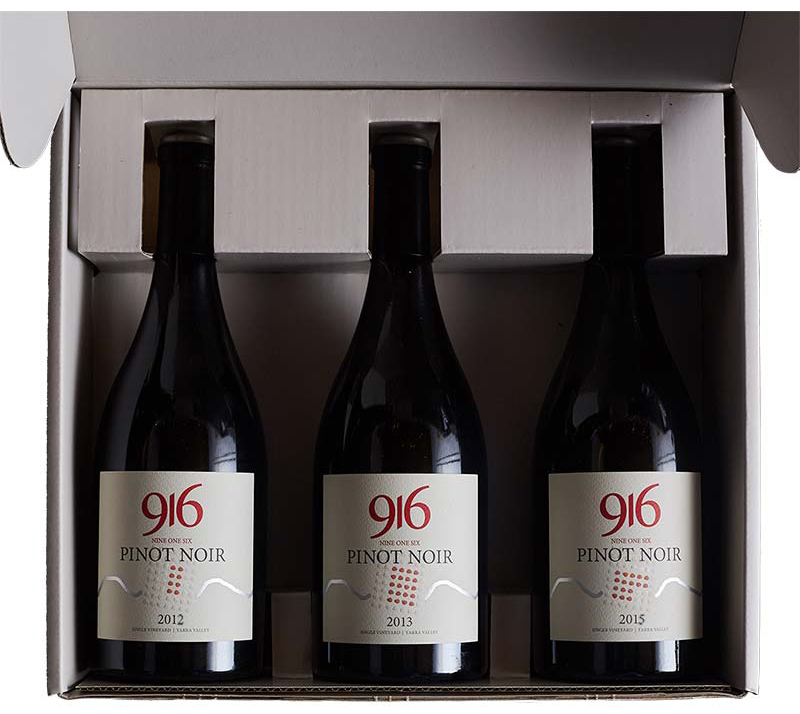 Vintage 2017 resulted in a limited selection of only 1800 bottles of 916 Pinot Noir, due to be released in August 2019. Priority for pre-release allocations are given to previous purchasers of 916. If you would like to submit a request for a pre-release allocation you can do so here. Note that release allocations are made at the time of release and you may not be notified of the status of your request until then. By submitting a pre-release allocation request you are also agreeing to our general terms and conditions. Vintage 2018 resulted in 1200 bottles of 916 Pinot Noir which will be released in 2020. The 2019 season began with perfect weather for budburst, flowering, and fruit set. Warmer temperatures and light, consistent rains leading up to veraison has seen both fruit quality and overall volumes rise substantially across the valley. 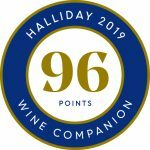 If all continues to go well, we expect to see a sensational vintage for 2019. Historians, cartographers, geographers, artists, and children have created many maps, pictures and paintings of this land. Today – and every day – we capture environment data and images using digital technologies. All these depictions tell a graphic story and create a rich sense of place. Our vines grow in soil with a history that is complex and multi layered. We feel privileged to be carrying the stories and expressions of this place; now and into the future. Every day, climatic conditions in the vineyard are captured. The data collected at 916 provides an interesting backdrop to how the vines grow, and how the grapes develop and ripen. Once the grapes are harvested, each step of winemaking is captured in detail; from fermentation stages to barrels and bottling. Using data visualisation*, historic sketches and contemporary art**– and stories – we continue to learn about the 916 place and people who have cared for it before us. Inspired by the Kulin Calendar*** seasons; see the interactive chart below showing rainfall, temperature, solar exposure, as well as important vineyard and winemaking stages for each vintage of 916 Pinot Noir. *The Australian Bureau of Meteorology has a weather station at Coldstream 37.72°S, 145.38°E, where rainfall, temperature, solar exposure etc data is captured and shared online. **“View from Mr Ryrie’s”, State Library of Victoria, MS8781, box 76/7(c), La Trobe Library Collection with Artist Christine Mullen’s impression of the colour and textures at 916 throughout vintage. ***Kulin Calendar: The lands of the Kulin people include the Dandenong Ranges, near Melbourne, which they refer to as the ‘cold country’. The Kulin have a detailed local understanding of the seasons and the environment. Each season is marked by the movement of the stars in the night sky and changes in the weather, coinciding with the life cycles of plants and animals. Overlaid on the seven seasons are two other non-annual seasons – Flood season which is likely to occur on average about every 28 years, and Fire season which occurs on average about every seven years. 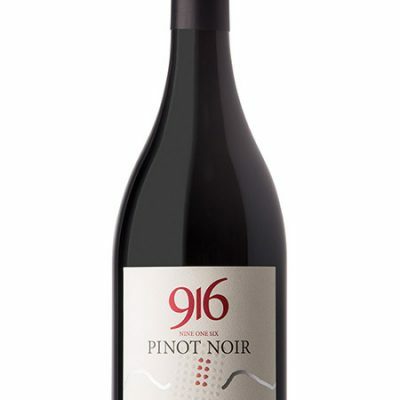 916 Pinot Noir origins are fortuitous, and full of good will. After inner-city living, looking for a bucolic lifestyle on the outskirts of Melbourne, Erin-Marie O’Neill and John Brand moved to the Yarra Valley in 2008. The five acre vineyard they inherited as part of the purchase of their twenty acre property had been planted in 1996 and was originally used to supply fruit to a large local commercial winery. However, the previous owners had already discovered that the fruit it was producing was of significant quality and value to warrant its own label. After several vintages with an up and coming local winemaker, the owners decided to sell, and they most kindly handed over not just the keys to the property but a most valuable relationship with highly respected local viticulturist, John Evans. Through John’s professional guidance (and patience), John and Erin-Marie began to learn and invest in developing the quality of the fruit even further. In 2009, bushfires impacted much of the Yarra Valley. The first 916 harvest was only a couple of weeks away when fire swept through Steels Creek, taking John and Erin-Marie‘s home and all of their possessions. The vineyard was hit hard with around 10% of vines completely destroyed. Another 70%+ were significantly affected. Advice about what to do next was mixed and varied. After much thought and research, it was decided that an aggressive pruning strategy – and a lot of tender loving care – would be the preferred approach. Fast forward a few more years and the vineyard produced its first viable crop again in 2012. The tonnage was extremely light; only about an eighth of an average harvest. However, the quality had returned and the vigour of the vines was noticeably improved. 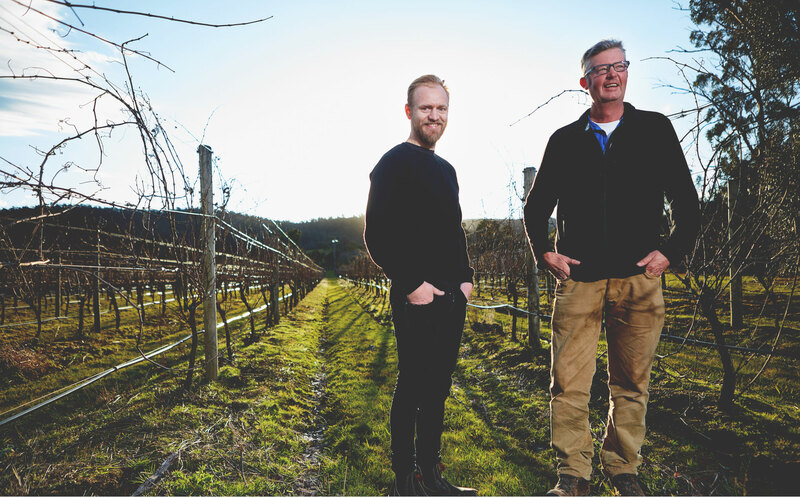 Coincidentally around that time, John Evans had also come across a young and enthusiastic winemaker, Ben Haines. Ben had recently won the Young Winemaker of the Year award and was looking to expand his experience with like-minded peers. John and Erin-Marie immediately saw the potential in Ben and asked him to produce the very first vintage of 916 Pinot Noir. The results were outstanding. 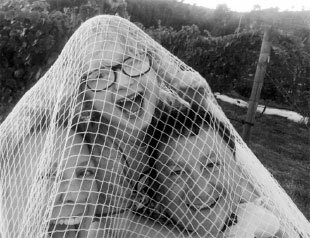 Since then, Ben Haines and John Evans have become an integral part of the 916 Pinot Noir story. John’s focus on balance in vineyard management has continued to produce consistently outstanding fruit. Ben’s passion for the consummate blending of new and old world winemaking techniques has brought new soul to 916 soil, and seen him internationally acclaimed as the only Australian winemaker in the Bloomberg Top 10 Wines of the World with his own branded Syrah in 2015. Now it is time for these legacies, life events and long-standing friendships – intertwined like the vines which bind them – to, dare we say, bear fruit. When a glass of 916 Pinot Noir meets a discerning palate, the goodwill is shared.